Introduce a 22mm diameter Artisan RTA TANK from Envii, the tank with 3ml E-juice capacity, it is a lung suction product. bottom airflow adjustable and easily top filling fits most 510 thread batteries/MODs. Artisan RTA TANK has a removable postless build deck, single clapton or alien coils will more better for ARTISAN RDA. Stainless Steel and champagne gold two Colors choice. Envii Artisan liegt gut in der Hand, beim verdampfen kommen je nach Sorte tolle Geschmecker zum Vorschein, und auch die Reinigung samt des Tanks ist leicht und schnell erledigt. There's really nothing negative I can say. 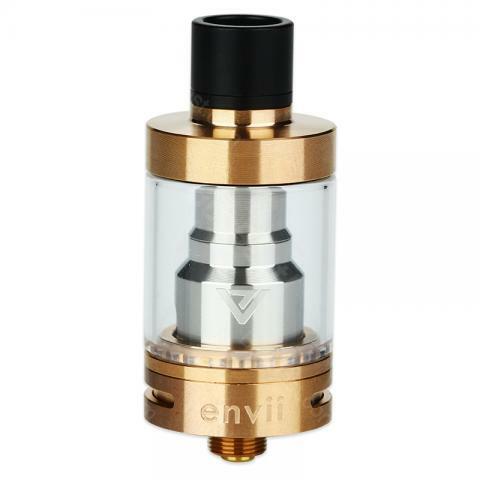 Envii Artisan RTA Tank is very small and cheap.